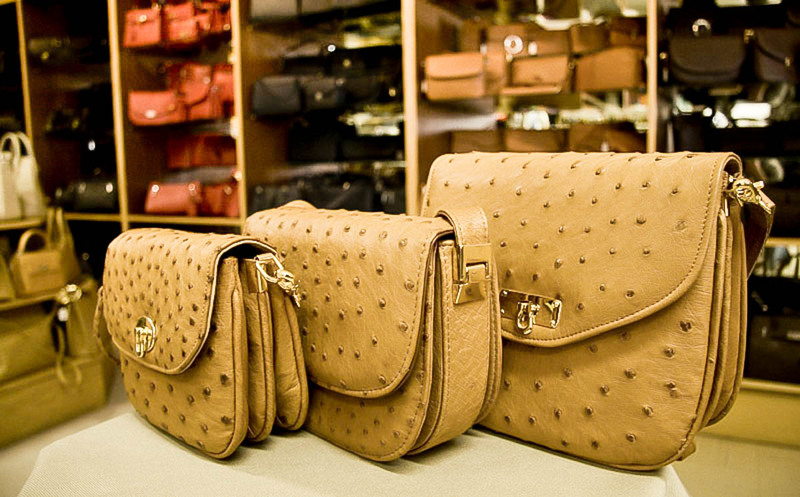 Ostrich leather was first tanned in 1970 and exploded onto the haute-couture scene in Europe. The leather was fully pigmented, somewhat hard to the touch, and available in a very limited array of colours initially. Today no such limits apply. Colours are almost infinite, and the finishing much more varied and sophisticated. There are more than 500 beautiful colour palettes currently. Creating leather is primarily a three part process. 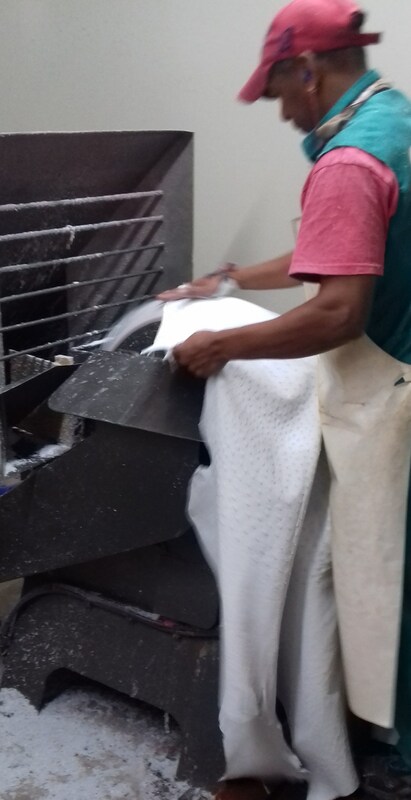 The first part is to take the raw skin and convert it into stable leather during the tanning process. 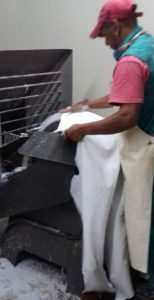 The end use of the leather will dictate what tanning method is to be used; for instance, the tanning of light, soft and round garment leather will differ quite markedly from that of heavier shoe leather. When the tanning is done, colour is added, most often through drum dyeing. This ensures that colour is absorbed right throughout the thickness of the skin. Some colours need the addition of colour pigments, either to achieve the correct shade, or to enhance light fastness properties. 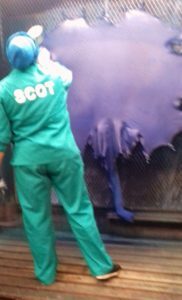 Once the colour process has been completed the leather now just needs to be finished. This final process is where the “touch” and ‘look” are varied, using a wide range of differing finishing methods. 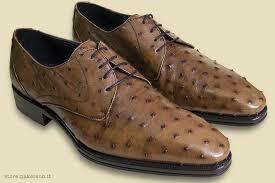 Ostrich leather is mostly produced in saddle finish. This has a dry, silky touch; however, other finishes can be used to create a more waxy or oily touch. The “look” of the leather can be transformed in this process, while saddle finish has a very natural soft sheen, with a lively contrast between the quill and grain of the leather, metallic finish, for example, will have a pearlised or fully metallic look. 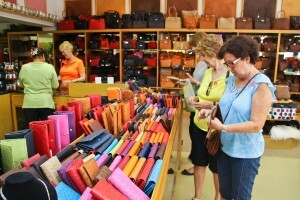 Ostrich leather is mostly used in the manufacturing of luxury products where beauty and aesthetics are the main focus. 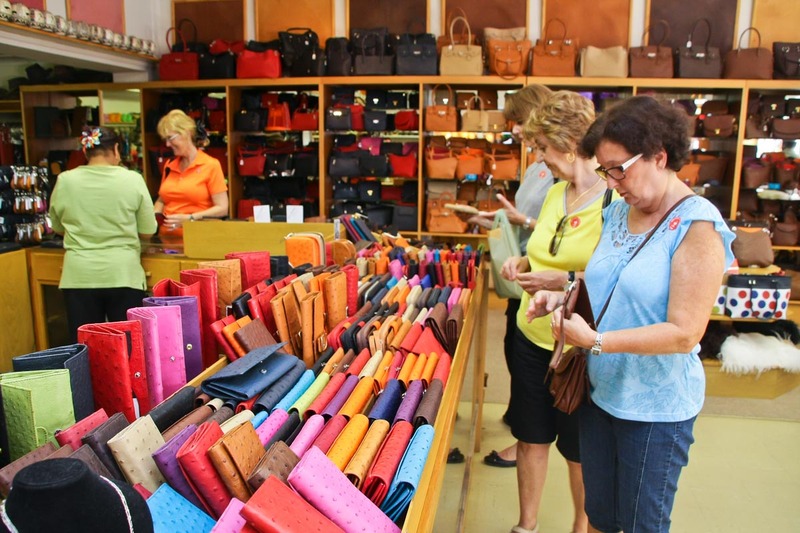 Other uses, like automotive use, require more technical properties, such as a very high light fastness; so, specific finishes have been developed to satisfy this criteria, allowing the introduction of ostrich leather into unusual and previously unexplored markets. In conclusion, it is vital to communicate the end usage, colour and finish to obtain the absolute best ostrich leather for the intended creation.